“Practice makes perfect,” is what my mom used to say to me all the time while I was growing up. From the moment I started to try and walk, and always fall, my mom would say these words to encourage me. It was a way to keep me going, and to never give up on practicing. However, the more I grew up and began playing professional sports, the more I realized that this saying is false. I’ll get to why I think that in a moment. So a little bit about me, I am in my mid-twenties and have always been an avid enthusiast of sports. I believe sports have the power to bring communities together and are the best way to get in shape. There is nothing wrong with some friendly competition and it encourages you to persevere, keep going, and problem solve on the spot! Sports also establish what strong leadership is, what it means to work as a team towards a common goal, and what it means to be a truly team player. 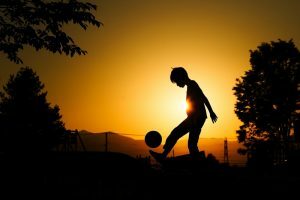 Sports made me the person I am today, especially the sport of soccer. Soccer is the most played sport and is played in almost every country around the world. It is a sport of endurance, where you are constantly running, and to become a professional player you must dedicate countless hours to strengthening your craft. This is why soccer skills training is of the utmost importance if you are serious at all about playing this sport. So before when I said I did not believe in the saying “practice makes perfect” anymore is because now I think of it as, “practice makes more practice.” The moment you think you do not need to train anymore and that you have reached the pinnacle of success, is the moment you lose. Constant training and constantly wanting to practice are two great things that you will find in every professional soccer player. If you think of the best soccer player in your opinion right now, chances are they don’t think of themselves as the best—they think they could be better. This is healthy because it always keeps you as a player striving for something. If you stop trying to improve yourself and just settle, then I am afraid that is the end of your career as a sports player. 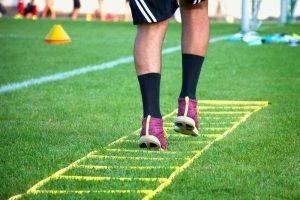 Soccer skills training is the most important aspect in a player’s career and something you have to take seriously in order to move forward. For many of us who are simply in various leagues and not professionally playing, it can be hard to find a good training program that is meant for both beginners and more advanced players. 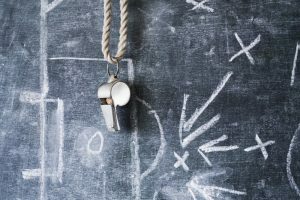 Not every team has the opportunity to have a great coach, and many teams in regular leagues do not even have time to practice. You basically meet and then play a game of scrimmage. While I love that, and love the fact that you are playing soccer, I know there are many of you that crave a way to expand your skills. You want a way to strengthen your soccer skills without breaking the bank. I have made it my goal to find the best soccer skills training program online today and I think I have accomplished that. “The Epic Soccer Training System” is available for purchase online. This soccer skills training program is meant to give you a way to develop your soccer skills fast and efficiently. It has been made to give you a training program that develops your skills at the speed of an actual soccer game. For many players, this is huge, as so many training drills are slowed down during practice; this does not help you at all during the actual speediness of the game. “The Epic Soccer Training System” also teaches you all about “dynamic touches,” making you know how to slow down and speed up the ball throughout gameplay. This soccer skills training program will move you from the level of amateur to professional. It has done wonders for my own personal skills and I now have confidence professionally moving forward. 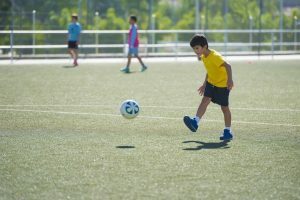 Whether you are a beginner or a professional player, I couldn’t recommend “The Epic Soccer Training System” enough for you. It will build on your foundation as a soccer player and improve your skills in dribbling, passing, shooting, and so much more. I wish you all the best!